Home Oil industry Why be moral? Your life depends on it! Let’s analyze the source of Foster’s confusion. He doesn’t actually define morality but makes some revealing statements: “Moral issues are ultimately about how we treat each other;” “Morality is based on feelings, which means that it doesn’t make people think very clearly or logically. In fact, it often stops them from thinking at all;” and “[Epstein’s book] raises issues that demand much further and deeper analysis of our ‘moral sentiments’.” These statements show that Foster’s idea of morality is vague: it has to do with feelings and how we treat each other. Why do we need such principles? Why not just live in the moment, like animals do? We need moral principles because we do not know automatically what goals to choose and which actions to take to achieve those goals. Unlike animals that have been programmed by evolution to preserve their lives, we have to discover, by thinking, the knowledge that our survival and flourishing requires—a very practical goal indeed. Living in the moment and ignoring the long-term consequences of our actions is hazardous, as those indulging their whims today and starving tomorrow come to realize. The fundamental knowledge we need is condensed in moral principles (although other, more specialized principles, such as those of agriculture, engineering, medicine, nutrition, also contribute to our survival and well-being). Moral principles that Ayn Rand identified, such as self-interest, rationality, honesty, justice, integrity, independence, productiveness, and pride, are not based on feelings but on facts. They are based on the factual requirements of human survival and flourishing and on the premise that that survival and flourishing is the ultimate goal of each individual. Moral principles are based on the observation (originally made by Aristotle who defined man as “the rational animal”) that human beings survive primarily by using reason: observing facts and applying logic. This observation makes rationality—the use of reason as “the only source of knowledge, the only judge of values, and the only guide to action” (quoting Ayn Rand)—the primary moral virtue. There are moral principles that people might feel are right and that may even stop them from thinking logically, or at all—for example, those promoting self-sacrifice to serve the needs of others. However, only the principles that are based on facts—such as the ones I mentioned above—that can be shown to be consistent with the requirements of long-term survival and flourishing of human beings, are valid and can guide achievement of our values. 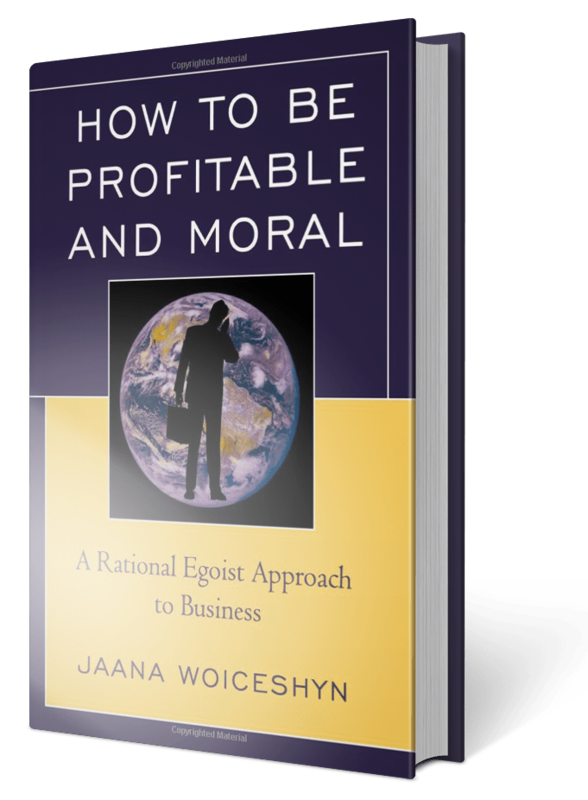 Because the purpose of morality is to guide us to live a good life—to achieve our values, such as meaningful work, a successful business, a happy romantic relationship,—it must be based on the recognition of the facts on which such achievement is based. Morality is not based on feelings. While important, emotions are not primaries; they are responses to our values—such as fairness, education, career, which are based on facts (requirements of human survival and flourishing). We feel angry when we experience injustice, for example, or joy when we achieve a long-pursued goal, such as a university degree or a dream job. Emotions are not tools of cognition, and they should not guide action, such as taking revenge on someone that has been unjust to us (as opposed to seeking justice through rational means). Moral principles, validated by facts, guide us to think logically to survive and flourish. Nothing could be more practical—as those who abandon rationality and other valid moral principles and act on impulse and unexamined emotions will unavoidably discover. Next articleWhy isn’t there more rational selfishness?